This pack is no longer offered by Isagenix. The Business Builder Pak is being replaced by the Isagenix Ultimate Pack as of April 19, 2017. Are you ready to commit to total body cleansing? Do you need a way to shed kilograms while feeling your best? If you answered yes to either of these questions, then Isagenix is right for you. With the Isagenix Business Builder Pak you are given a wide array of the best nutritional cleansing products on the market. Each package arrives with nutrient-dense formulas and high-quality ingredients. 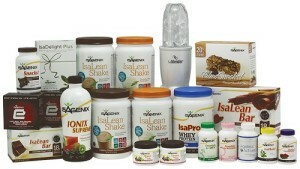 The Isagenix Business Builder Pak is made to boost your overall health while improving the quality of your diet. With the Isagenix Business Builder Pak, you also receive enough products to share with your friends and family members to kick start your Isagenix business. If you want to start building a business around Isagenix products, this package is the right one for you. It contains most of the Isagenix range, so you can quickly and easily increase your customer base. All New Zealand orders are shipped directly from the Isagenix warehouse in Auckland, and we service all areas of NZ with 24/7 customer service. With each Isagenix pack, you are given a 30 day money back guarantee. Once you have purchased the Isagenix Business Builder Pak, you have a full 30 days to decide if this package is right for you. If you do not like it for any reason, you can return it for a full refund. The primary benefit of the Isagenix Business Builder’s Pak is you get a host of Isagenix products at MUCH cheaper than full retail prices! This allows you to try the full range of Isagenix products and share with friends and family—all for a fraction of the cost of buying the products individually.